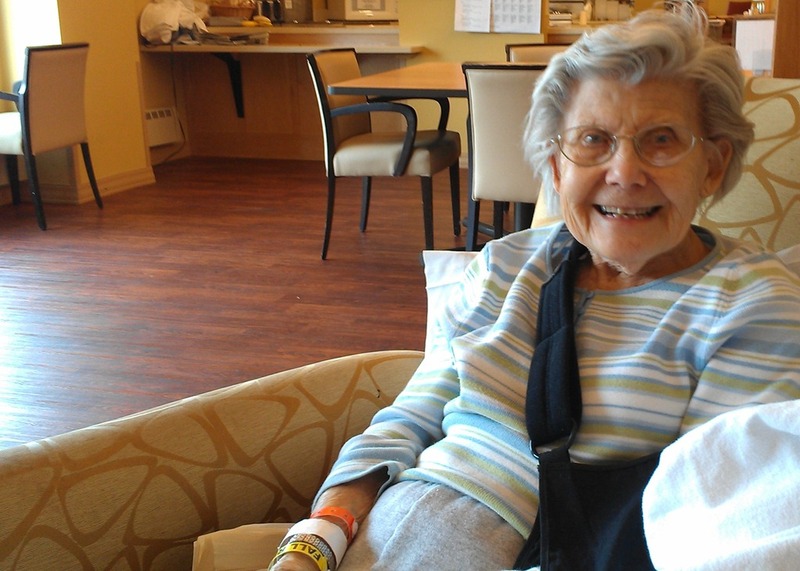 My mother lives on her own in a senior cooperative in Eagan. She turned 89 last month and as her ‘cognitive impairment’ has begun to worsen, my brother and I asked her if she was willing to sell and move to a facility that could provide meals and additional care on-site, if needed. “I’m so lonely now,” she said. “It didn’t use to be like this. I can tell that people here don’t want to be around me anymore.” She eagerly agreed to begin the process of selling and moving. The problem as Gilman sees it lies in both the concept—the separating of senior citizens from the larger world—and the culture of retirement communities. There is back-stabbing competitiveness when hundreds of widows vie for the few single men. Social lives depend on good health, as if heart disease or osteoporosis were contagious. But even those models, with the exception of inter-generational housing, don’t address the national crisis in senior living, the tainted legacy of age-segregated housing that is a $51 billion industry. We suffer from a severe lack of foresight, a shortage of personal and community planning when it comes to where and how to age. We’ve separated our elders from their extended families without replacing what their relatives might once have provided: a decent quality of life, until the very end. More recently, a handful of inter-generational retirement communities, such at Hillcrest Village in Bartlesville, Oklahoma, which integrate young families and even include elementary schools, have opened in the U.S. I know I’d prefer this option. Griff, my 85 year old father splits his time between his own home in the Twin Cities and a townhouse in Green Valley, AZ. Green Valley is village of 17,000 retirees. Dad calls Green Valley “God’s Waiting Room”. The first time I visited there I got a serious case of the creeps. It didn’t take too long to figure out why. Imagine a dystopia where someone has removed all of the teenagers and brown skinned people. Actually, there are brown skinned people there, tending the lawns–but they don’t live there. Wikipedia tells me that that Green Valley is 98.35% white. 1.6% of the population is under the age 18. The place is one big stereotype. Affluent guys in white golf shoes, driving white luxury sedans. You do see some younger children there, visiting their grandparents. They are allowed to use the recreational facilities, at restricted times, of course. Maybe teenage grandchildren resist visiting Green Valley. My dad tells me there are covenants restricting how many nights a year people under a certain age can stay in individual dwellings. I’m having dinner with Dad tonight, and I’m going to try to nail down what exactly the rules are. Green Valley is not for me. Curt, Green Valley wouldn’t be for me either. But how about the 55+ communities here in Northfield? Village on the Cannon, Northfield Retirement Center’s Kildahl Park Point, or the apartments at Three Links? Because those are located here in the small town of Northfield and all that it offers, they seem much less segregated and at least somewhat “inter-generational.” Or am I kidding myself? Griff- I’m not sure about the apartments, but at 3-Links Care Center, there are numbers of small children and school classes who visit the residents weekly. It is good for both age groups. There are also opportunities for teens to volunteer to present programs, games, and other activities for the residents. Both colleges have programs for their students to volunteer, also. I think there are opportunities available for anyone if they care to give of themselves that way. But even those units are still obviously segregated, Griff, since a large proportion of the population is under 55. Here in Richfield, people are overly concerned about subsidized housing, and the compromise solution that most find acceptable is 80-20 split in a given development (80% market rate, 20% subsidized). Why not impose a similar standard for ages? Say, 33% for 55+ only, and remaining open to any age. First, please send our best to your mom. We lost my mom about fifteen years ago and she was living on her own. My two grandfathers stayed with us for a few years before they passed away. They both were with us at the same time and it was no burden to anyone as they were home bound, but they took care of their own hygiene. They stayed to themselves, each other mostly, and came out only when they felt like eating with us. They died within six months of each other. They had become fast friends in their old age and one grandfather told the other one that he himself was going to die the day before he actually did. I was a teenager and felt quite comforted by their presence in the home at all times. We rarely spoke but it is good to be in the presence of ancestors. Somehow the presence is important. Each situation must be evaluated, but if the grandparents or parent can stay at home without too much burden to the family, I would recommend it. Oh, this also saves worrying about them in another location. A bit about care facilities. They are often very good, but never replace family. Often they lack staff and neglect can be painful. Make sure you have unannounced visits to check things out carefully if you must deal with one would be my advice. 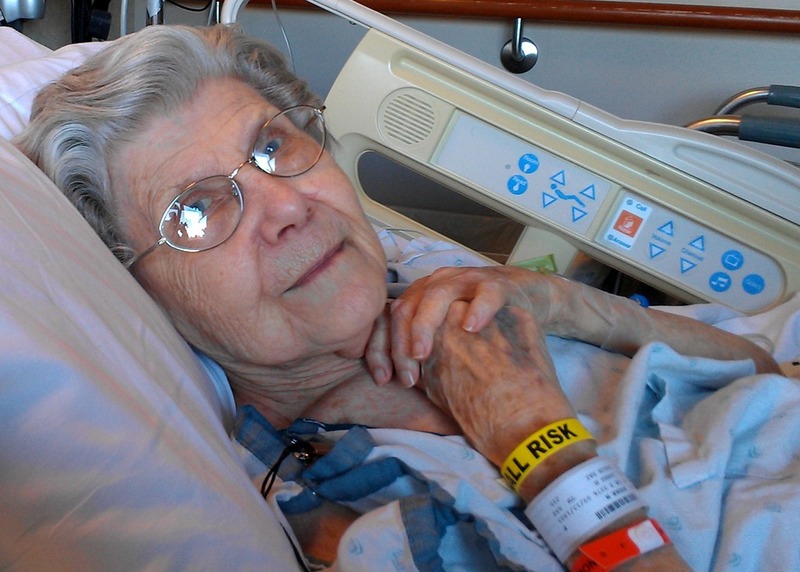 I was very blessed with my mother’s end of life experience. She lived on the family farm until about 6 weeks before she passed away. She was able to have some in-home assistance, plus having my brother’s family and second generation neighbors nearby to help, it extended her time at home and greatly shortened the time she needed instututional care. In fact, if she had not come down with influenza which forced her to leave the farm, I think she might possibly still be alive today. The studies I know of all point to better quality of life for a longer time for those who are able to stay in their own homes. The whole concept of the “rest home” is pretty much a 20th. century concept. For centuries, families lived in multi-generational settings. It is our society’s ease of mobility and focus on “self” fulfillment that hampers that happening today. If there is any concept of our past that would be good to revive, it would be the idea of multiple generations of a family living together. With the newer technology of home life lines that instantly connect seniors to a nearby medical facility, a longer stay in the seniors’ own home is now possible. The buttons worn on the wrist or necklace can be activated in or around the home, are answered within a moment by nurses, and if earlier set up allows, neighbors could be contacted for a quick look and possible rescue, but EMT would be immediately dispatched either way. This is a great solution for many people who are on the fringe for many years, allaying fears and stress that can bring on earlier illness and death. The cost is low for the peace of mind it can bring. In case you’re wondering why my blogging and participation here on LoGro has been so lame lately, I’m hoping to get my mother moved into an ‘enhanced’ assisted living facility today. It’s been an ordeal to get to this point. Ahhh life! Griff, It was good to compare notes with you last week. As I undergo this first stage of transition for my own mother I know how involved, emotionally and information wise, this process is and I am only in the first leg of the journey. But, surprisingly I have encountered several who are also faced with similar circumstances so I encourage you to share your experience…for you and others. Best wishes to you and all of your family! Thanks, Bonnie. I wish I had time to blog about it every step of the way. She was rejected by two assisted living places yesterday but at day’s end, we found a ‘care suite’ that looks perfect for her. I’ll know more later today. One more day. She was accepted on Friday and we move her in on Monday. A mere $8,000/month. Hopefully, in a month or two she’ll be ready for plain old assisted living at about $2,500/month. I sure am glad Robbie and I purchased long-term care insurance ten years ago. Ouch!! My stepdad had purchased long-term care insurance for he and my mom close to 20 years ago. He passed away at home following a routine surgery thus never had the need for it. Sadly, along the road of budget cuts, to be able to live within her Social Security, my mom opted out of the long term care insurance in order to continue her health care coverage. I’m curious what her options may be in the future without a nest egg to be quickly diminished. But, at present, just too darn worn out from this initial ‘downsizing’. Good luck to you today, Griff. Thanks again, Bonnie. It’s gone well this week. She’s settled in and the staff is terrific so far. Now I have to gear up for a fight about some of the medical expenses that haven’t been covered, eg, a 10 minute trip to the ER for a broken wrist that cost $1800! Big transition this week: my mother moves into an assisted living facility in Burnsville tomorrow. I’m grateful that my brother and I have been able to team up on the myriad of tasks to get her to this stage. I can’t imagine doing all this alone. Next up: getting her senior co-op unit sold. I’ll likely have a blog post on this in the next month or so.